A native of the San Francisco Bay Area, flutist Meghan Jacoby has performed as a chamber and orchestral musician throughout the US, England, Mexico, Costa Rica, and Cuba. 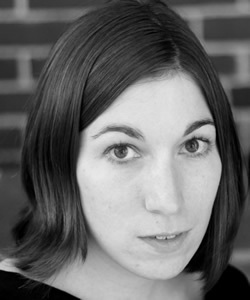 Meghan currently freelances throughout the greater Boston area and has performed with the Boston Lyric Opera, Portland (Maine) Symphony, Radius Ensemble and with the Cape Cod, New Bedford, Atlantic, and Cape Ann Symphony Orchestras. She is currently a doctoral candidate at Boston University. From 2002-2003 she attended The Studio in Kent, England, studying with legendary flute pedagogue, Trevor Wye. Meghan’s other principal teachers include Linda Toote, Robert Willoughby and Michelle Caimotto. A new music enthusiast, Meghan has performed at the New Music Forum’s Festival of Contemporary Music in Oakland, California, the Society of Composers, Inc. convention in New York, New Music Brandeis, and with Brave New Works and the Callithumpian Consort. Meghan has been a three-time finalist in Boston’s James Pappoutsakis Memorial Flute Competition and was recently named 2nd Prize Winner in the Kentucky Flute Society’s Piccolo Competition. A dedicated teacher, Meghan is on faculty at the Longy School of Music, Phillips Academy/Andover, Concord Academy and The Waldorf School of Lexington.